I’ve always loved the idea of an art journal, but I’m not very good at drawing and really don’t know where to start. My sister-in-law makes fabulous art journals (she even runs workshops on how to do it – but we live in different countries, so I can’t take one from her). Anyway, a blog I’ve been reading recently is That Artist Woman. She has great ideas for quick easy art for kids. 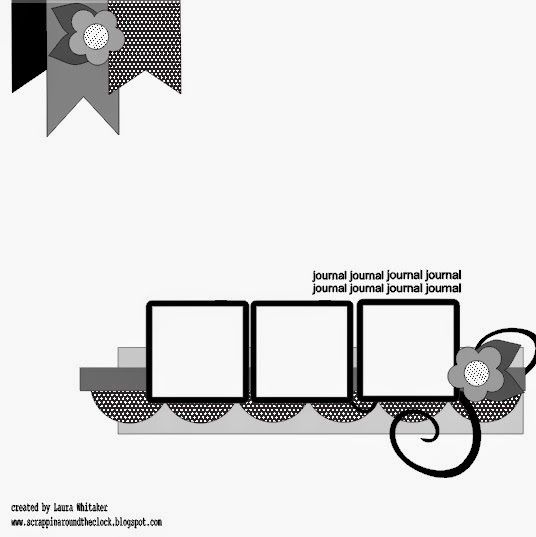 When I saw this tutorial I thought it would be something I could manage and so I set out to create my first art journal page. Gorgeous Girl also made a page with me. I didn’t have access to craft foam and so just drew the tree trunks freehand. Also my internet was down when we were doing this, so I had to rely on memory for the steps. I’m reasonably happy with how this turned out and I learned a lot. I think the hardest part of starting an art journal was doing the first page. 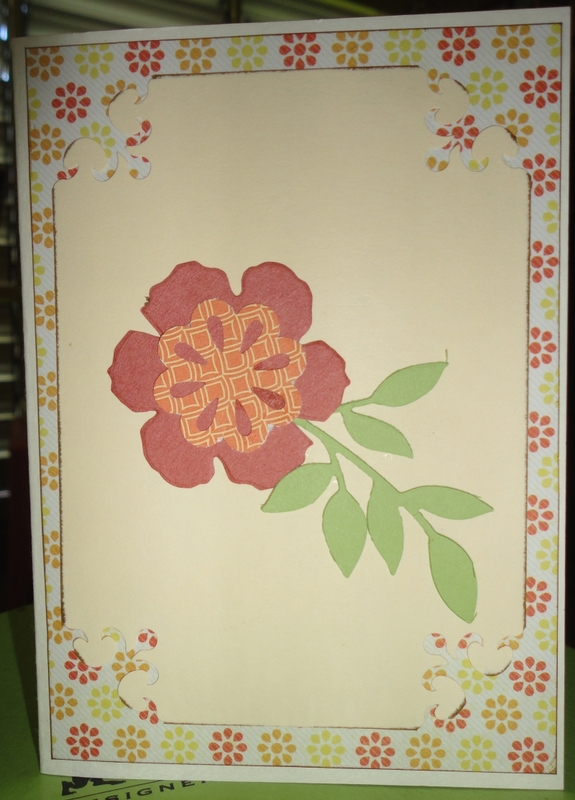 As I was looking at the sketch for the card on the Let’s Capture Our Memories blog, their sketch Number 90 for scrapbooking also caught my eye. Many years ago, when I was 20, I went to China as a “foreign friend” and worked as a volunteer English teacher for one year in a high school. In the middle of that year I had the opportunity to go to the USA during my summer holidays. I spent a few weeks riding Greyhound buses and visiting many of the tourist sights. This was the days of film camera and when I got back to China I had the photos developed. Then they sat in a box for 20 years. This was the layout to get some of them scrapped. 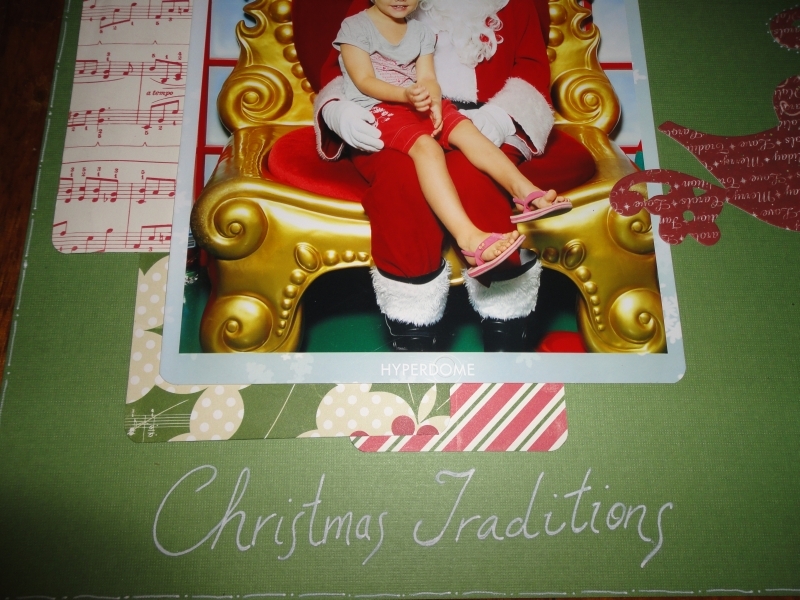 I trimmed the photos square and used the Stampin’ Up corner rounder punch to give them a vintage look. 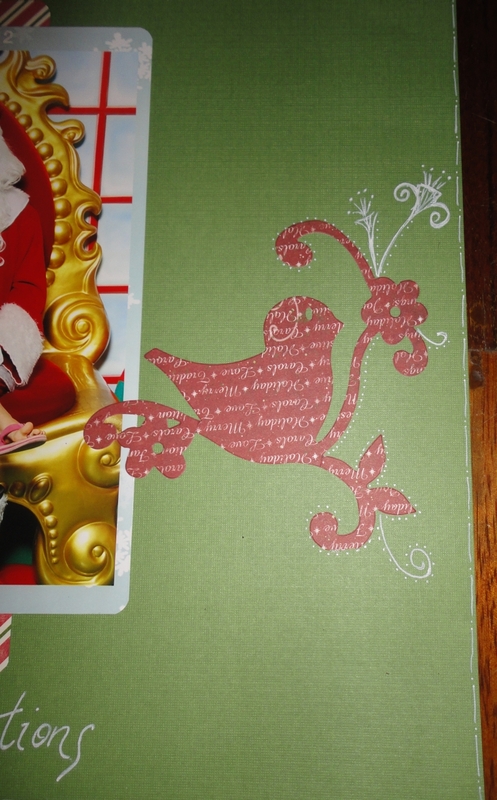 The grey background paper is from a DCWV Neutrals Cardstock Stack, and the paper tags and background paper is from Stampin’ Up, the paper doilies are some cheap ones I picked up at KMart when we were in Australia. Everything on the page is straight really, I just couldn’t seem to take a straight on picture of it. I’m thankful to the sketch, it feels really good to get these old photos out of the box and onto a page. 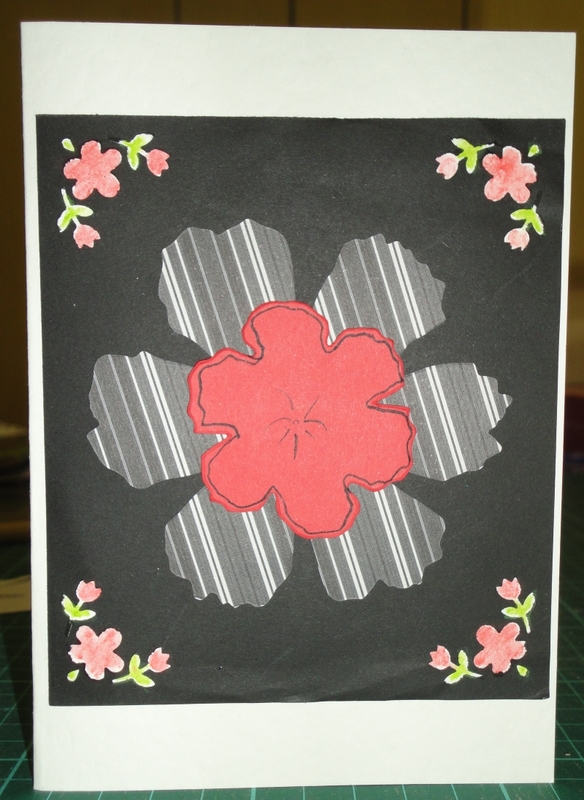 I needed a pick-me-up card for a friend this week and so put this one together. I’m happy with how it turned out. 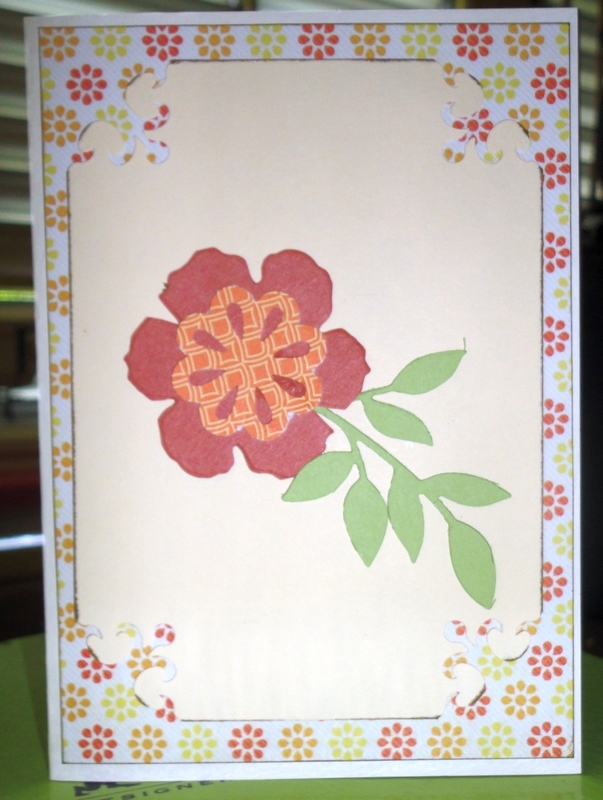 I’m mainly putting this here so that the friends and relatives who have contributed to the card by sending me bits and pieces from their die cutting machines can see how I’m using them. I think next time I’ll add some detailing to the leaves. Lots of quick easily finished projects at the moment. The thesis is definitely on a downhill slope so I’m looking forward to having a little bit more crafting time come December. 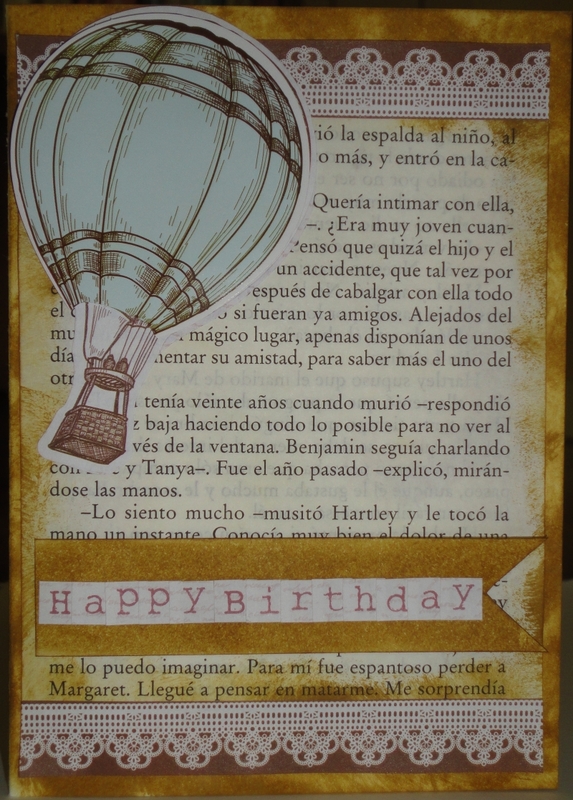 Just a quick card using die cuts and water colour pencils for another of the many birthdays occurring in our extended family at this time of year. 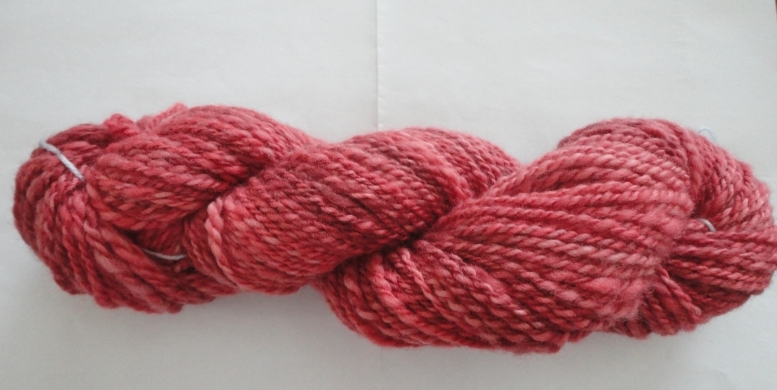 Many years ago I dyed some roving. Some of it worked really well and some got felted. The spinning below was from one of the more felted rovings, so a lot of it was unspinnable. I ended up with 101 metres from 57 grams and it’s sport weight, about 12 wraps per inch. 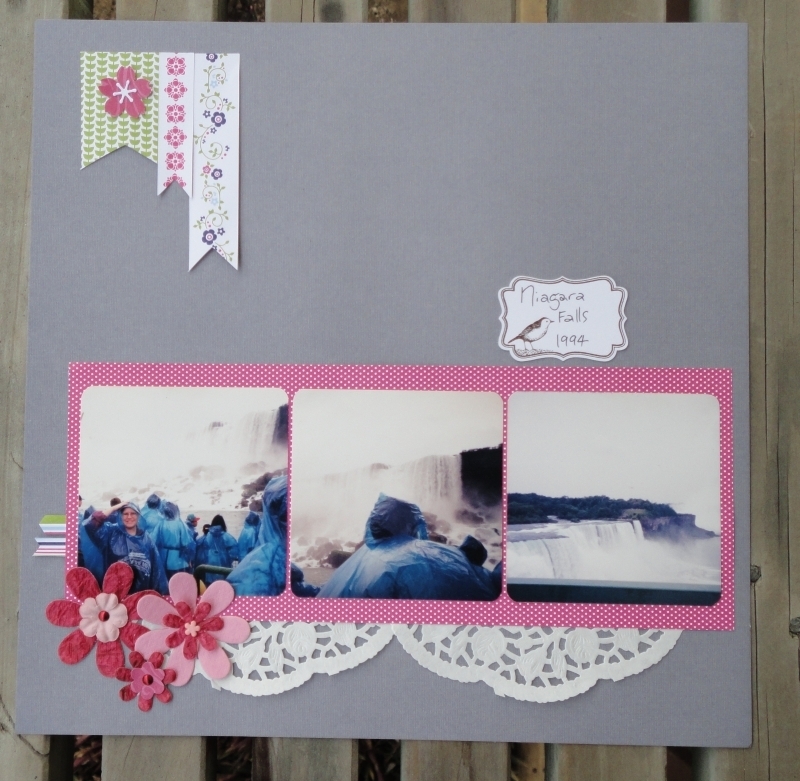 I’m entering this scrapbooking page in Frosted Design’s Friday Challenge. 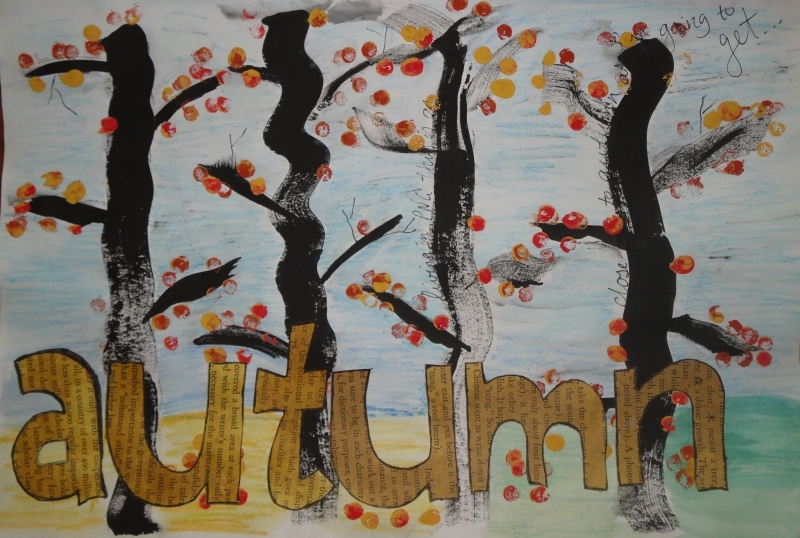 This challenge was right up my alley as the brief was to use paint, doodling or handwriting on a page, all of which are regularly on my pages, so I thought I’d join in. Here’s my page. This was taken on our first Christmas in Australia with Gorgeous Girl. I also edged the page with white ink. It’s a very simple page, but I’m pleased with how it turned out.